Performer: Lee Sora, Kim Gunmo, Yun Dohyun, et al. MBC's popular program I Am A Singer pits famous talented singers against each other in a singing survival competition with themed missions and elimination rounds. Although the show has been plagued by controversy, it's also been a ratings hit, giving audiences the chance to hear pop classics reinterpreted by the likes of Yoon Do Hyun, Kim Gun Mo, Baek Ji Young, Lee So Ra, Lena Park, Kim Bum Soo, and Jung Yup. 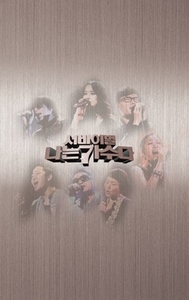 Songs from I Am A Singer have already been topping digital charts in Korea, and now they can be enjoyed on this special two-disc compilation collecting the songs performed on the first two episodes of the show.